Dr Jiko Luveni intends to inspire other women to pursue a political career. 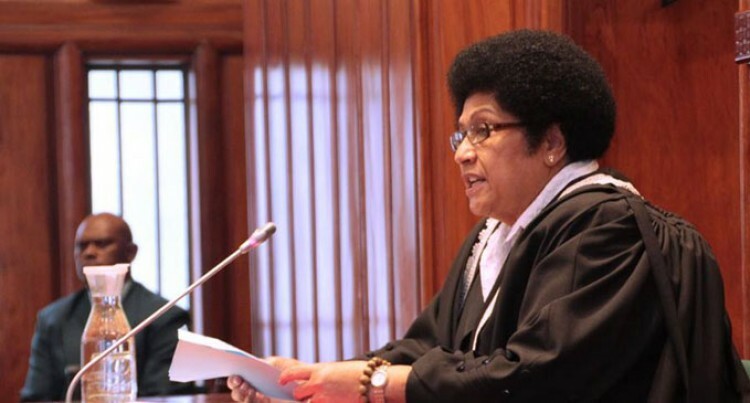 The new Speaker for Parliament, Dr Luveni, wants to make the best of her historic appointment. ‘’I really want to show that we women can ascend to these positions and that our voice is being heard,’’ she said. The first female Speaker of the Fijian Parliament, was congratulated by parliamentarians from both sides of the House yesterday. Leader of the Opposition Ro Teimumu Kepa, also congratulated her during the morning tea session following the swearing-in ceremony. Earlier, during her speech, Speaker Dr Luveni thanked her family for their continued support. The former Minister for Women, Social Welfare and Poverty Alleviation has been a trailblazer of sorts in other areas. She was also the first iTaukei woman to graduate in dentistry from the Fiji School of Medicine in 1967. She has also broken traditional stereotypes of Fijian women by representing Fiji in golf and table tennis. She is also well known for her work in championing the rights of Fijians living with the Human Immunodeficiency Virus (HIV).